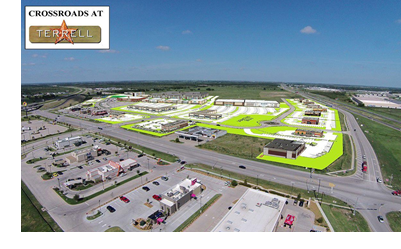 ​​ TERRELL – Academy Sports and Outdoors has leased space at the Crossroads at Terrell, a 275,000-sf retail development at the northwest corner of I-20 and FM 148. Construction has already begun on the building, which is expected to open in fall 2019. It will serve the eastern side of DFW and the greater East Texas area, including all of Kaufman and Van Zandt Counties. Check out Dallas-Fort Worth-Arlington Retail Market Research​.